As an influencer marketing agency that's run hundreds of influencer campaigns over the years, and won quite a few awards for influencer marketing ourselves, we know a thing or two about what makes an influencer great for brands to work with! When determining who to highlight as our top influencers for this year, we considered data points that go into our influencer performance ranker, iStackTM. You won't find Kylie Jenner on this list. But in our list of the best influencers on Instagram for brands to partner with you will find a group of talented content creators with highly engaged following who have proven they're able to drive measurable results from our clients most wanted platform -- Instagram. See our winners for the Top Instagram Influencers in 2019. These women have a talent for creating gorgeous and attainable looks. They inspire followers to try the latest beauty trends while showcasing a talent even Hollywood make-up artists can respect. What's more, they've tried it all! So when they recommend a beauty product, followers listen! See our winners for the Best Beauty Influencers in 2019. 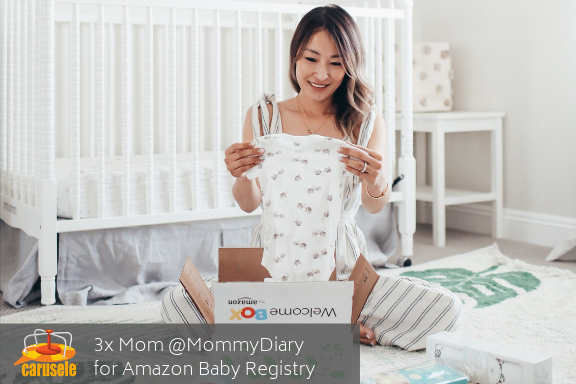 The moms of this list have proven themselves in multiple brand campaigns designed to engage and influence other moms over the years. They are skilled at telling relatable stories that moms like them trust. See our winners for the Best Mom Influencers in 2019. These lifestyle influencers have created a name for themselves by showcasing an Instagram-worthy, aspirational yet attainable point of view. These are not your everyday social-celebrities who are often followed purely to satisfy our voyeuristic human nature. These are real people with real connections who have proven their ability to influence brand preference among their followers. See our winners for the Best Lifestyle Influencers in 2019. So often we find fashion brands looking exclusively at "fashion" influencers to rep their brands, thinking these men and women are the trendsetters that can take their brand to the next level. While not entirely wrong, fashion influencers are less likely to be brand loyal and more likely to create looks that are inspirational, yet not truly attainable for the everyday consumer. Lifestyle influencers who present far more relatable stories and happen to have a keen eye for attainable looks often convert better. See our winners for the Best Influencers for Fashion Brands in 2019. Recipe creation is an art form not every foodie blogger can master. Of course, the recipes must taste good, but for brands to really stand out the influencer needs to be in touch with the most pin-worthy recipe trends (Instant Pot anyone? ), skilled at styling their creations, and, most importantly for the brands they work with, have a knack for showcasing the brand in a way that goes beyond just listing it as an ingredient that could easily be swapped out for another brand. Our winners in the Best Recipe Creating influencers category have proven themselves in all three key areas. See our winners for the Best Recipe Creating Influencers in 2019. Like their recipe creating counterparts, influencers who are known for their home styling skills may be the most talented interior designers in the world, but being able to create a look that puts the brand front and center in a natural way, does take a real skill. Our winners in the best of Home Decor influencers category have proven their ability to bring a brand to life in their home decor content and drive measurable conversion from their content. See our winners for the Best Home Decor Influencers in 2019. At Carusele, our unique approach to influencer marketing means we put far less weight on the size of the following an influencer has and more weight on their ability to craft stories (written, visual, and video) that can motivate an audience to act. We value influencers who are adept at creating content that does just that, regardless of their audience size, and have discovered over time some true brand partners that consistently over-deliver in this area. See our winners for the Best Value Creators in 2019. Finally, I want to take a moment to recognize every influencer who contributed to Carusele's 2018 Award-Winning Influencer Campaigns. We're lucky to work with great partners, both brands and influencers, and couldn't have won these marketing industry awards for influencer marketing without their partnership! See the complete list of our 2018 Award-Winning Influencers. Curious how we can help you design an award-winning influencer campaign that delivers results your business can be proud of?